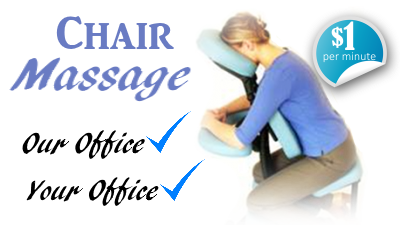 Neck & Shoulders, Sciatica, & Back Pain Relief & Relaxation Massage in Central Lake Mi, Bellaire Mi - AfterEffect - Restorative Body Therapy | Advanced Therapeutic Massage in Bellaire, Central Lake, and serving Antrim County Michigan! Our Exclusive Restorative Body Therapy! Focusing on Relaxing, Relieving & Restoring your body back to normal muscular and postural function. If your muscles hurt, this is what you want. Leave feeling better than when you walked in. *Recommended for deep aches and pains. Focusing on Total Fullbody Relaxation. Comparable to a Swedish-style massage with light to medium pressure. Does not address deep aches & pains. Focusing only on Head, Hands & Feet. Keep your clothes on, kick off your shoes and socks, lay on our heated table, and enjoy the soothing aromatherapy while we help you relax. Addresses common aches & pains of the expecting mother. Lymphatic Drainage may be used for swelling in legs. Focused for Athletes to Passively Stretch tight contracted muscle groups. Passive stretching gives you a much bigger stretch. No need to undress, Just come in wearing some flexible clothing! Focused for Clients that ONLY Require Specific Areas Worked On. Modalities: Deep Tissue, Swedish, Sports, Cranial Sacral, Reflexology, Shiatsu & More! Like an Infrared Sauna in a blanket! Spend an hour wrapped up in our special blanket and relax with a different kind of heat...Infrared Heat! Heats the whole body and not just the surface. It's actually relaxing...you just might fall asleep and wake up feeling great. Burn up to 1400 Calories in just One Session! or Buy a Package and Save! ​until we locate another therapist. ​Helps with stress, neck/shoulder pain, tension headaches, carpal tunnel pain, and just general well-being. Focusing on Relaxing, Relieving & Restoring your body back to normal muscular and postural function. Shiatsu (used to open blocked energy pathways that may cause physical and/or emotional dysfunctions). Prenatal massage can help to relieve back pain, improve sleep, and boost mood, as well as decrease stress and reduce labor complications. Prenatal massage is best given while you lie on your side propped up by pillows.